Reverend Dr. Boise Kimber serves as an advisor to Grace Church Websites, helping the organization to reach churches and nonprofits that need websites. At the tender age of fifteen, the Reverend Dr. Boise Kimber was called to the Gospel ministry, and has remained steadfast to that call. In 1986, he became pastor of First Calvary Baptist Church in New Haven, having served four congregations prior. Under his spirited and energetic leadership for the last 29 years, First Calvary Baptist Church remains committed to loving, teaching, preaching and reconciliation. It is a vibrant ministry with a full-time staff and strong Christian Education and Mission ministries. He is also pastor of the First Calvary Baptist Church in Hartford, Connecticut. Dr. Kimber has served, unceasingly, in the life and the work of the Baptist denomination for the expansion of the Kingdom of God on the local, state and national levels. 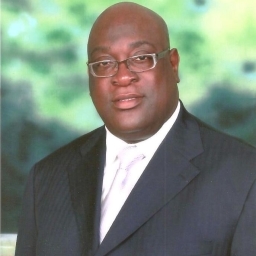 He currently serves as president of the Connecticut State Missionary Baptist Convention, an alliance of approximately eighty churches. As a visionary president, he launched the Christian Leadership School, an accredited four-year Christian Education degree program. From 1984-1994, Dr. Kimber has continuously labored for the National Baptist Convention, USA, Inc. as an Administrative Assistant. He also served as the Executive Secretary of the Board of Directors for the past five years. In addition, Dr. Kimber serves as a staff member for the Institute of Church Administration and Management at the Interdenominational Theological Center in Atlanta, Georgia. Dr. Kimber’s community activist voice serves as the clarion call for social justice in not only Connecticut, but also the nation. He has actively worked to address issues of housing development, police brutality and profiling, workers rights, and a myriad of social issues affecting African Americans and all oppressed people in the city of New Haven and across the nation. Locally, Dr. Kimber is President Emeritus of the Greater New Haven Clergy Association, a Consultant to the office of Multicultural Affairs and the Multicultural Center at Southern Connecticut State University, a Fire Commissioner for the City of New Haven, a Director for Aids Interfaith Network, Inc., an advisor to local labor unions, and a member of Omega Psi Phi Fraternity Inc. Nationally, he serves as Director of the National Action Network, Inc., the Conference of National Black Churches, and as Executive Director of the Social Justice Initiative. In 1981, he completed his undergraduate studies at Johnson C. Smith University in Charlotte, North Carolina, and in 1997, he earned a Master of Arts Degree in Religious Life from Hartford Seminary in Hartford, Connecticut. In May 2001, he completed his Doctorate Degree in Ministry at United Theological Seminary in Dayton, Ohio. His approved dissertation title was “Developing a Social Justice Consciousness in a Local Congregation”. Dr. Kimber summarizes his life in this way: “I believe I was always destined to be a preacher. The emerging Black Churches need preachers who will respond to the constant challenges we face. I have gratefully followed the path which the Lord set for me, so I can follow in His footsteps and lead His people to liberation.” Dr. Kimber is married to the former Shevalle Turner and is the proud father of LaShawn, Sherine, Shevalle and Savion.